Educational Philosophy/ Mission: To educate the whole child through a balance of academic excellence, character development, and enrichment through the arts in a nurturing, small classroom setting. Educational Philosophy: Clearview Christian Girls School provides a safe place for early adolescent girls to develop academic excellence, physical fitness, artistic appreciation, moral awareness, and spiritual strength. Educational Philosophy/ Mission: The mission of Doris Todd Memorial Christian School is to provide a Christ-centered, Biblically-directed education which instills the desire and practice of academic excellence, moral integrity, patriotism, and church involvement to the glory of God. Educational Philosophy: The purpose of Emmanuel Lutheran School is to share the good news of Jesus Christ by providing a high quality, Christ-centered education. 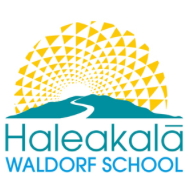 Educational Philosophy: Developed by Rudolf Steiner in 1919, Waldorf Education is based on an understanding of human development that addresses the needs of the growing child. Waldorf teachers strive to transform education into an art that educates the whole child—the heart and the hands, as well as the head. Educational Philosophy: Horizons Academy is the only private, non-profit, applied behavior analytic special education school in Maui County. Educational Philosophy:We are a Classical Christian School emphasizing academics and discipleship in all grades. We offer small class sizes for personalized attention, staffed with excellent teachers. Mission: To improve the capability and well-being of Hawaiians through education. The deadline for K-12 campus programs for the 2016-2017 school year has passed. The deadline was September 30, 2015. Educational Philosophy:A college preparatory education focused on developing higher order thinking skills through the academics, arts, and athletics. Open House: Tours are available on a daily basis, as are “shadow days”. Open house usually occurs in late January. Educational Philosophy:The Montessori philosophy provides a curriculum and environment in which each child will develop physically, intellectually and spiritually to his or her fullest potential. Children are introduced to the joy of learning at an early age and provided with a structured framework in which intellectual and social discipline goes hand-in-hand. Fun Fact: Montessori Hale O Keiki is the only independent school in South Maui. In 2009, MHOK became the state of Hawaii’s Marine Science School of the Future and is incorporating Marine Science curriculum in all classrooms. The students are exploring marine science concepts, discovering marine ecosystems, and providing underwater ocean research via our PADI certified middle school students. 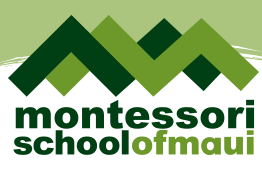 Educational Philosophy: The Montessori School of Maui provides a comprehensive curriculum from early childhood into adolescence by following the principles, spirit and philosophy of Dr. Maria Montessori’s method of education. This approach features a collaborative learning environment to stimulate each student’s critical thinking skills, cultivate inquisitive minds and empower children to actively participate in the rapidly changing environment of the twenty-first century. Educational Philosophy: The ROOTS mission is to provide educational and learning programs that allow children to think independently, engage collaboratively, make connections across disciplines, realize their talents, and apply their learning in the world. Educational Philosophy: The mission of the Sacred Hearts School community is to provide excellence in education and to nurture a life of prayer, faith and service in the Catholic tradition. Educational Philosophy:Seabury Hall is deeply committed to its college preparatory mission and its purpose to develop students in mind, body and soul. The school equally values the commitment to service to others. The nurturing learning environment of the school provides fertile soil for students to grow, potentials to be reached, and achievements to be celebrated. Mission:St. Anthony Grade School is a K – 6 parish school providing quality Catholic education, enabling students to become caring, responsible, and socially conscious member of society. Educational Philosophy: The St. Anthony Junior-Senior High School provides quality Catholic education in the Marianist spirit to young men and women on Maui. St. Anthony is an ‘ohana – living and dynamic community of sharing and learning where leadership skills, social awareness, academic competence and commitment to faith-filled service are developed. Blogging Disclosure: I am on the Board of Directors of Carden Academy, and a past board member of Seabury Hall Alumni Board, but no compensation was received from any school on this list.